Drifted to the savory side after making candy with Easter molds on Saturday afternoon. Yet another delicious recipe from Cooking Light (original recipe here). I was tempted to put it on the George Foreman grill, but decided to keep to the original for the first go round. Combine mustard and mayo together. 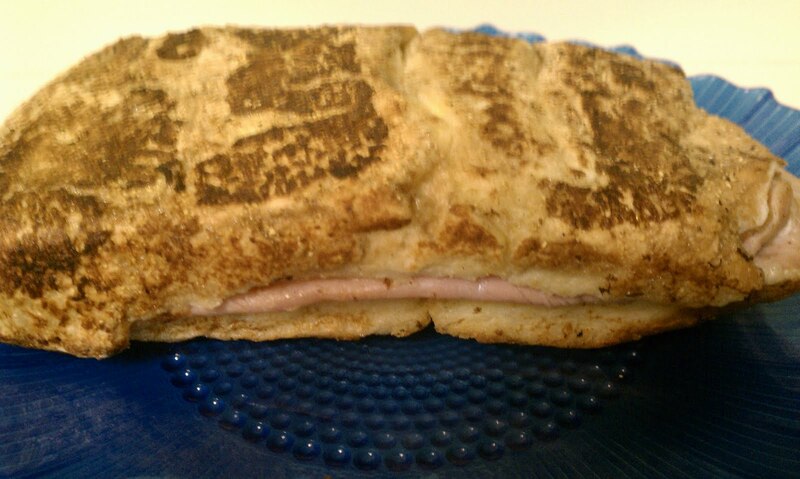 Spread on bottom slice, then layer ham, cheese and cracked pepper. Spread mustard mix on top and put sandwich together. Mix the egg and milk together. Dip sandwich in﻿ egg mixture and then cook on a large nonstick griddle or skillet over medium eat. Coat pan with cooking spray. Cook 3 minutes on each side or until lightly browned and cheese melts. Enjoy every bite.